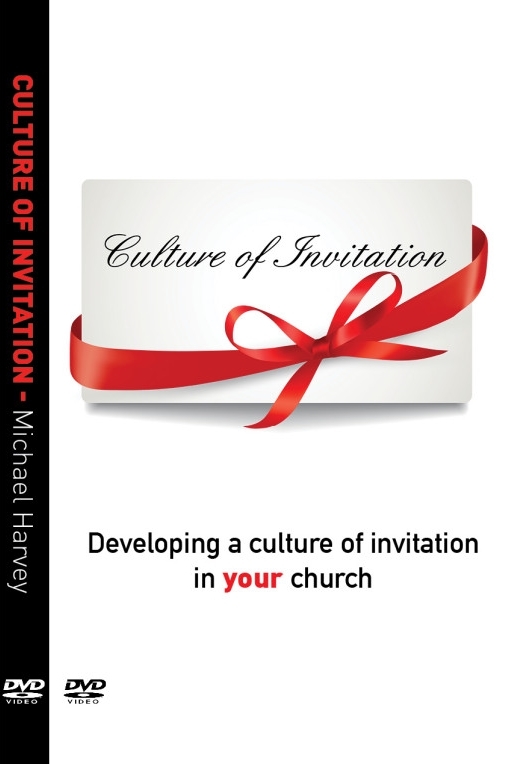 Michael Harvey’s much anticipated second book, Creating a Culture of Invitation in your Church was published on 17 July 2015. We like to think of our churches as welcoming. Michael Harvey, an expert on church growth, asks, “How welcoming can we be if we don’t take our welcome outside with the gift of an invitation?” God sent his son to invite us all into a relationship, and so to be like God is to be a person who invites. Exploring the subjects of rejection and acceptance he examines where we have gone wrong. Reviewing best practice ideas gleaned from trying to establish a culture of invitation he considers what we might do to address the situation and put it right. Please support the Unlocking the Growth Trust by pre-ordering your copies by clicking here. 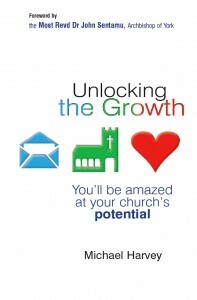 Michael Harvey’s first book, Unlocking the Growth: You Will be Amazed at Your Church’s Potential was published on 23 March 2012. Please support the Unlocking the Growth Trust by ordering your copies by clicking here. NEW To watch 10 free videos of questions for each chapter, recorded by Michael, click here. 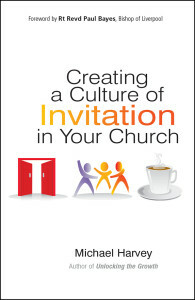 Recorded live, Culture of Invitation is a one day training workshop lead by Michael Harvey. Purchase packs of 100 cards for use in your church or home group(s). Packs available are 12 Steps to becoming an Inviting Church, 10 Keys to Keeping and Church Management Bingo. To purchase these, click here. NEW To watch 10 free videos of questions for each chapter of the book, recorded by Michael, click here. 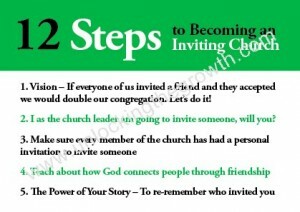 To watch a free video for each of the 12 Steps to becoming an inviting church, recorded by Michael, click here. This library of ideas and insights will help us confront and overcome the challenge of becoming invitational and will feed the soul and the mind. If you would like to access these exclusive videos, posts and resources please do subscribe. It only costs £10 per month (see other currencies) and you can pay on a month by month basis. Click here for more information.